Good morning everyone and happy Tuesday! 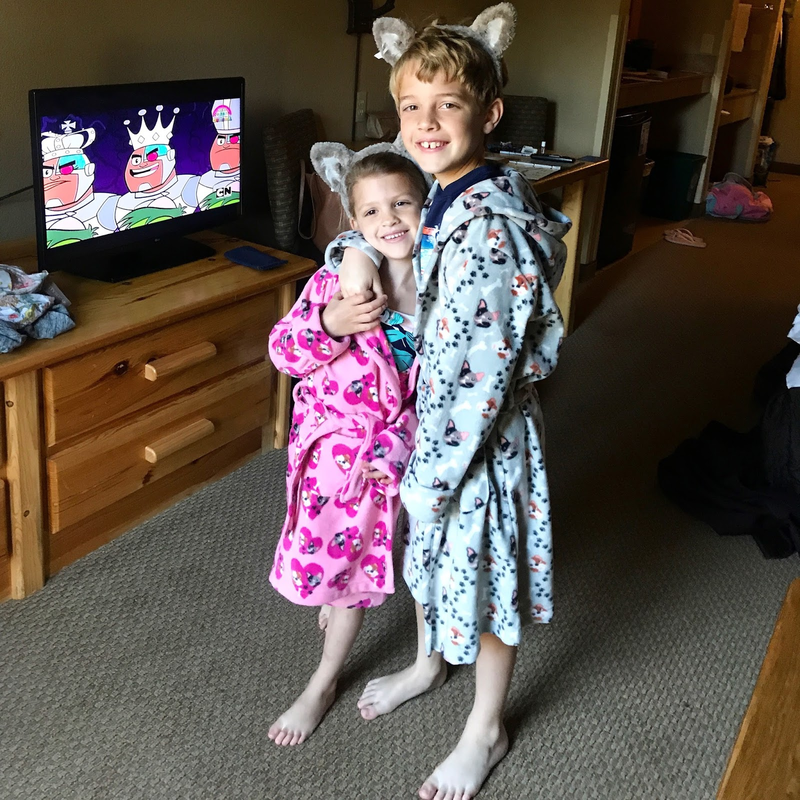 I know a lot of you were interested in hearing about our stay at Great Wolf Lodge, so I thought I would give you all a little re-cap! 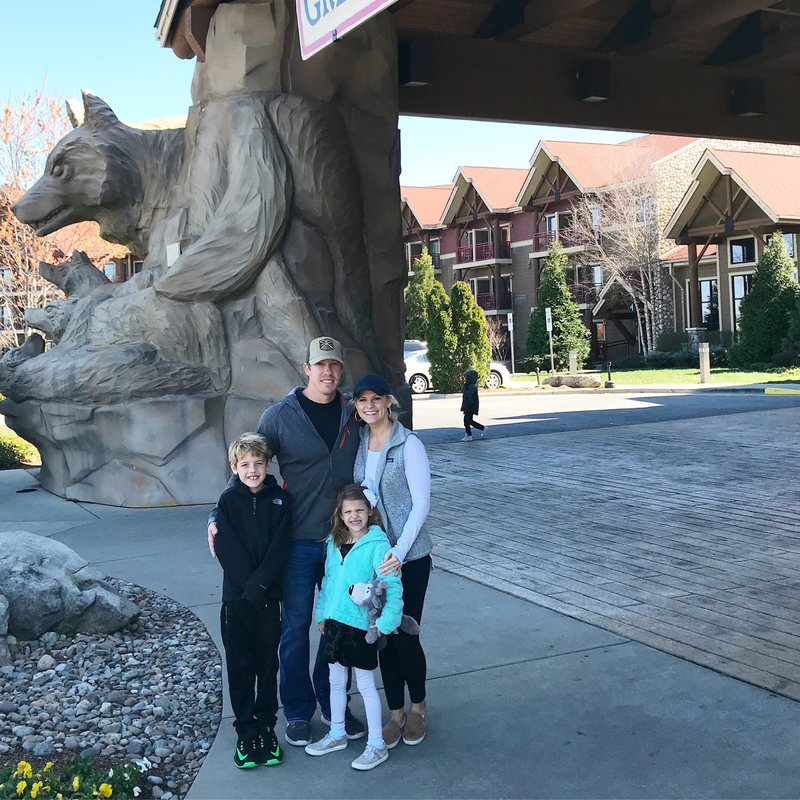 First off, we all had a blast, and no matter where you go, getting out of town with your family and enjoying some fun together is always a treat! Add in an indoor waterpark, 4-D movies, treats galore, a huge arcade, and it's pretty much heaven on earth for kids. We arrived Thursday evening around 7pm and the first thing we did was check out our rooms. 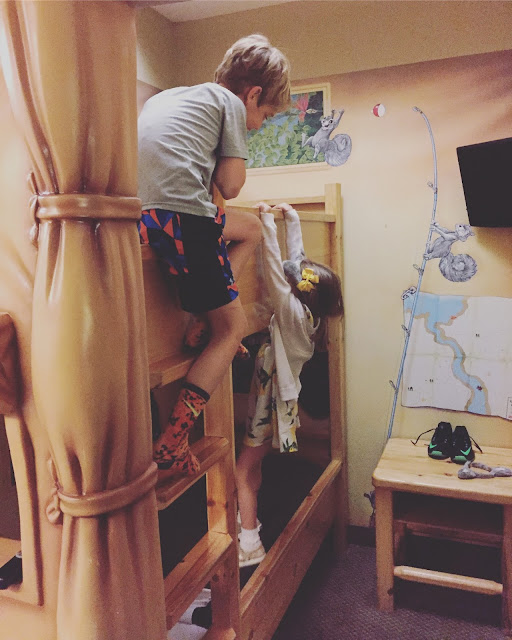 I highly recommend the themed rooms, we did a 'Kid Kamp' suite, and both Taylor and Carson loved having their own little space with bunk beds and their own tv. After we checked out our rooms, we ventured around the lodge and checked out everything else. The kids were so excited that they could barely sleep, but thankfully, they passed out by 10pm. Speaking of breakfast, this was ours every morning. 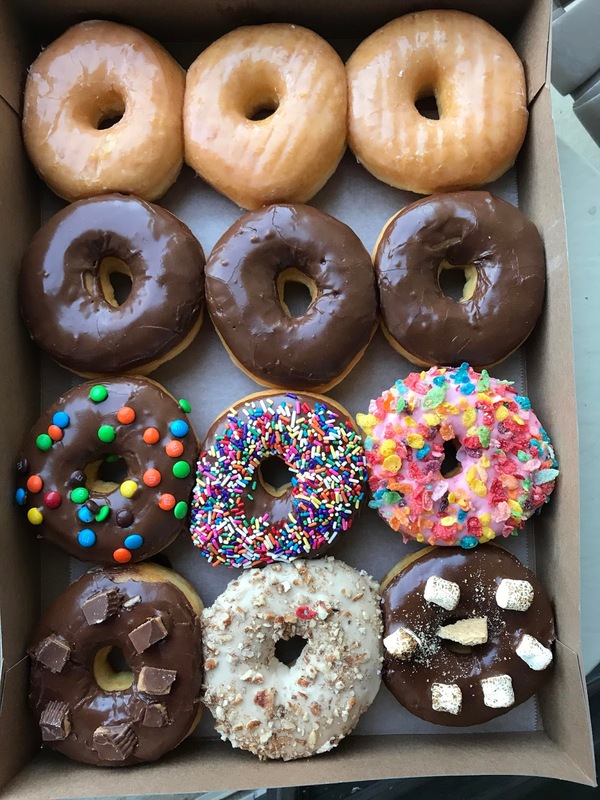 I swear that I'm still dreaming about these doughnuts, y'all! If you ever visit Great Wolf Lodge in North Carolina, make sure you go by OMG doughnuts. It is hands down the best doughnuts I've ever eaten and it's walking distance from the lodge. 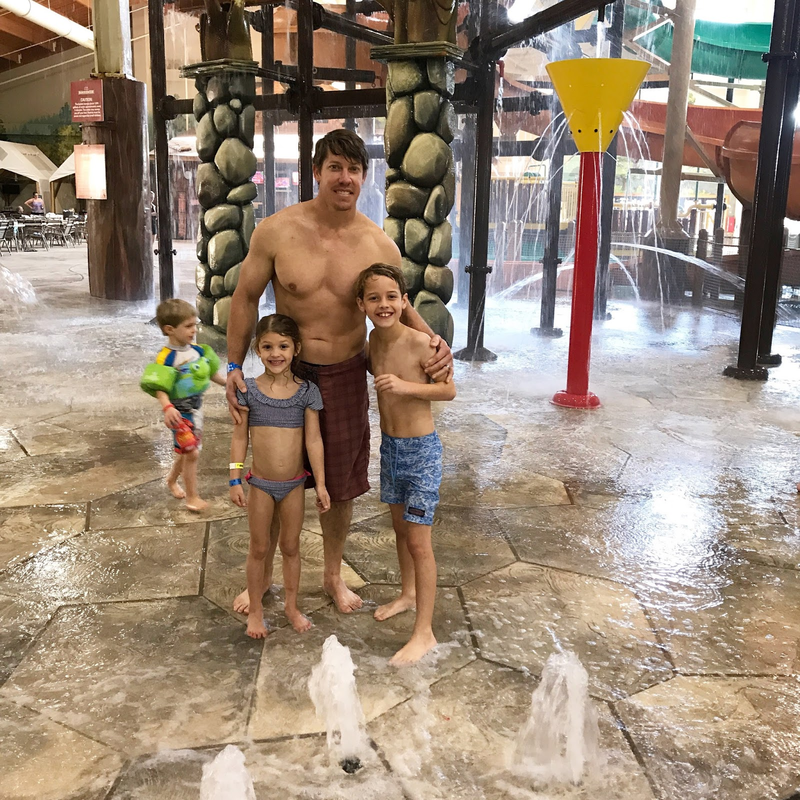 The waterpark was SO fun for all of us! Taylor was tall enough to ride all of the slides except one, so she was super excited. The higher and the faster a ride (or a slide) is, the more she loves it! Our favorite slides were the Alberta Slides and River Canyon Run. All four of us could ride the River Canyon Run together so that was awesome! 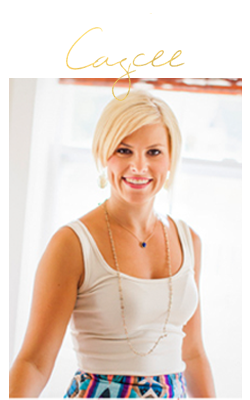 You can find all of Taylor's swimsuits in yesterdays post here, and mine is on major sale here. This high neck one-piece by the same brand would have been even better for the waterpark! After a few hours at the waterpark we decided to grab lunch and shower up for some arcade fun. We ate lunch at the Lodge Wood Fired Grill and it was mediocre at best. But it was convenient, laid back, and the kids were able to just toss on their robes to eat. 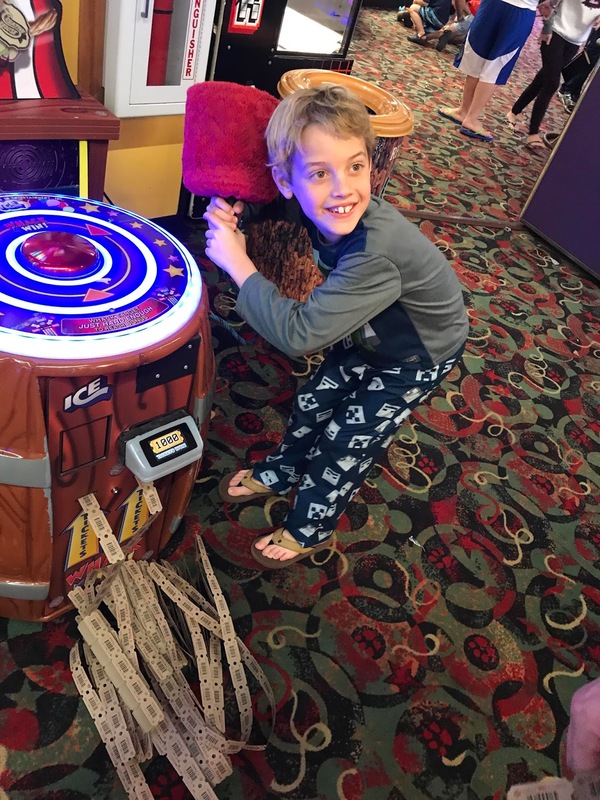 The arcade was huge (not crowded) and the kids had the best time!! 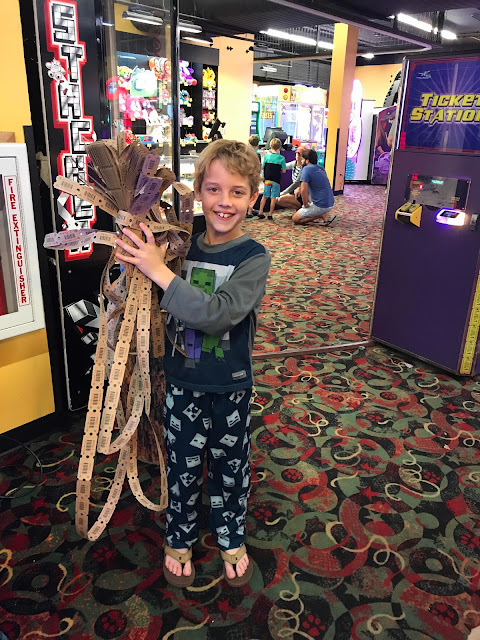 Carson even won 1,000 tickets on one of the games...he was so pumped! 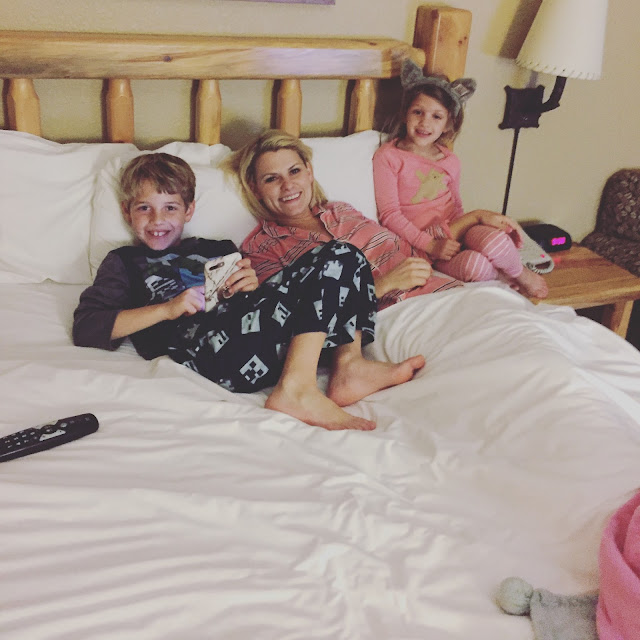 Bedtime movies and snuggles in our bed, even though they had their own tv :) But honestly, I didn't mind one bit! 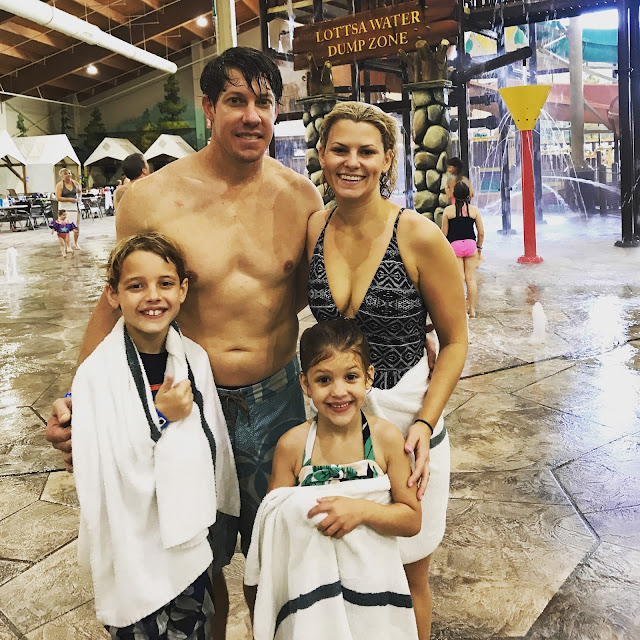 On Saturday morning, we hit the waterpark one last time for a few hours. And by noon, we were ready to get on the road to go enjoy some good lunch. 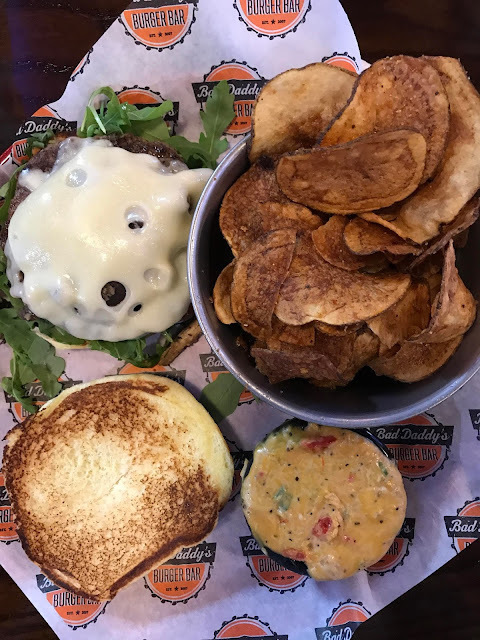 Thanks to everyone who recommended Bad Daddy's Burger Bar...it was awesome!! The fried pickles were some of the best I've ever had and my shroom burger was amazing! 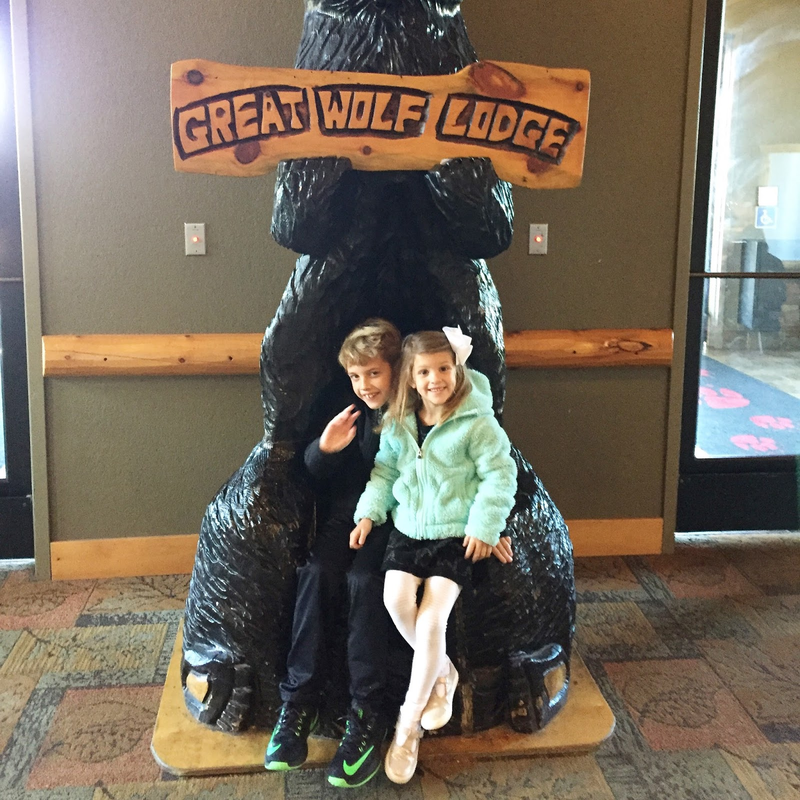 The Great Wolf Lodge was truly the perfect little weekend getaway for our family. Carson and Taylor's laughs and smiles this past weekend were some I hope I never forget because they were priceless. OMG donuts are the best! I live near Concord! Glad you enjoyed your trip! Your family is the cutest! Glad you guys had fun. I'd love to take our girls there once they get a little older. 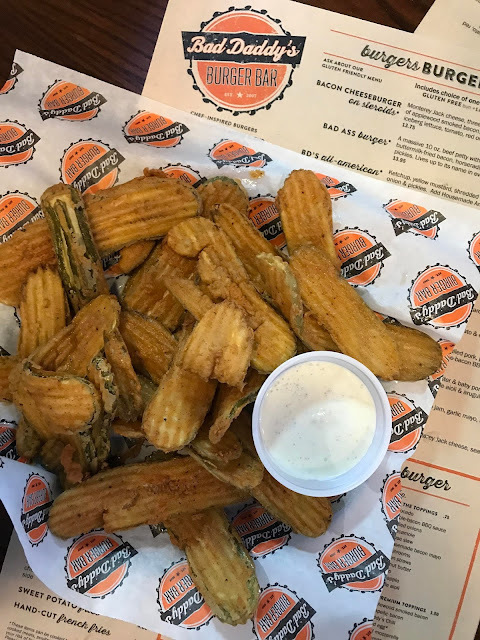 BTW - those fried pickles. Omg. I want!